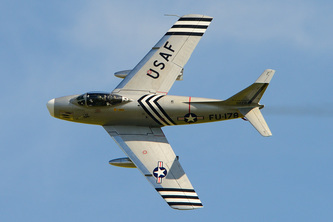 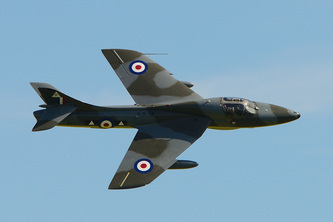 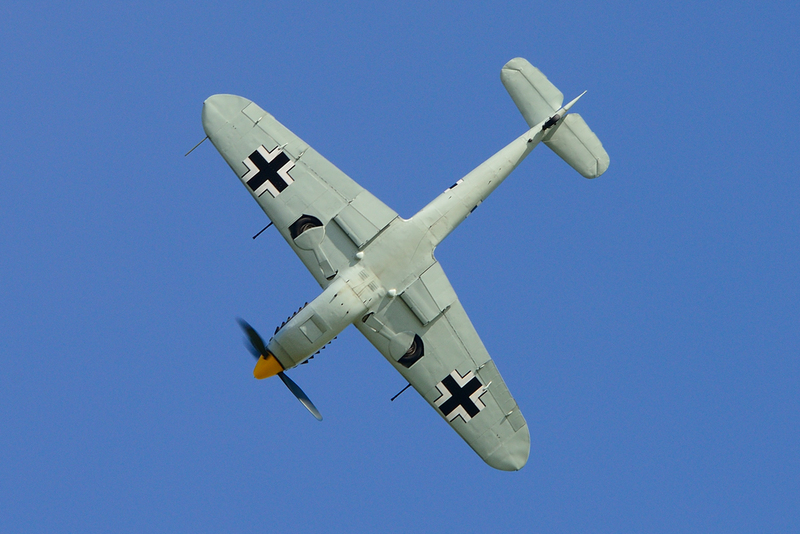 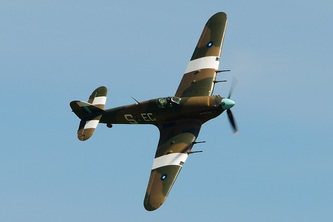 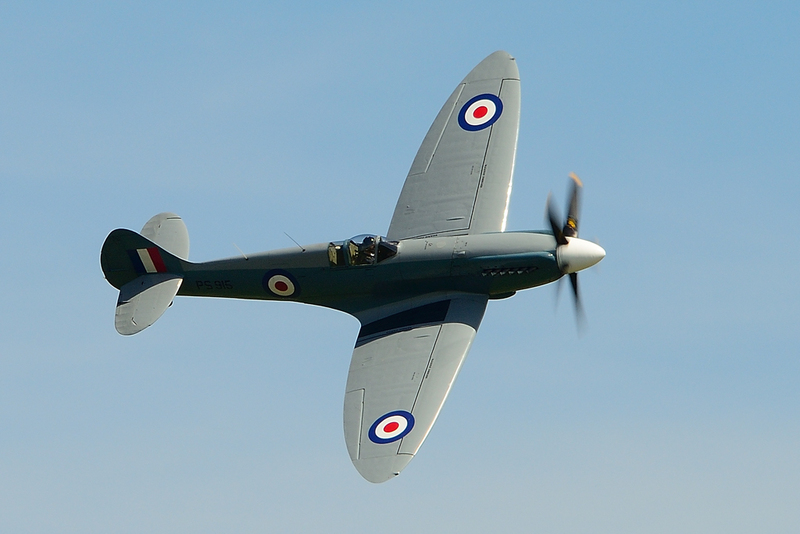 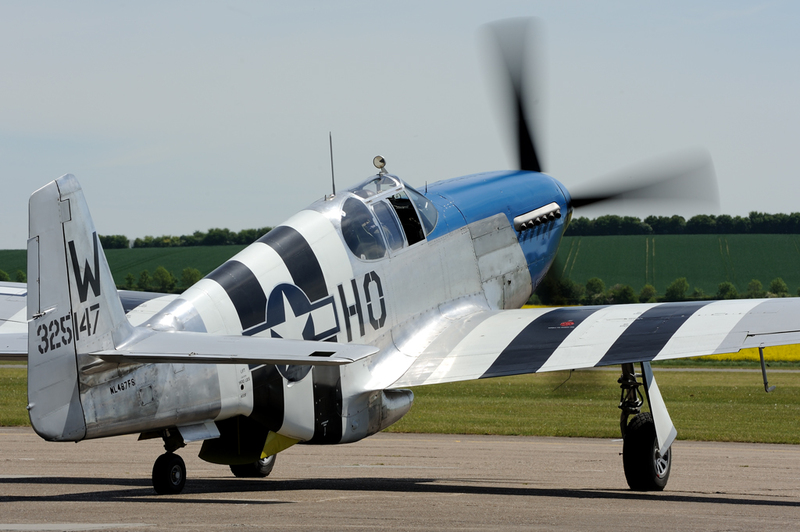 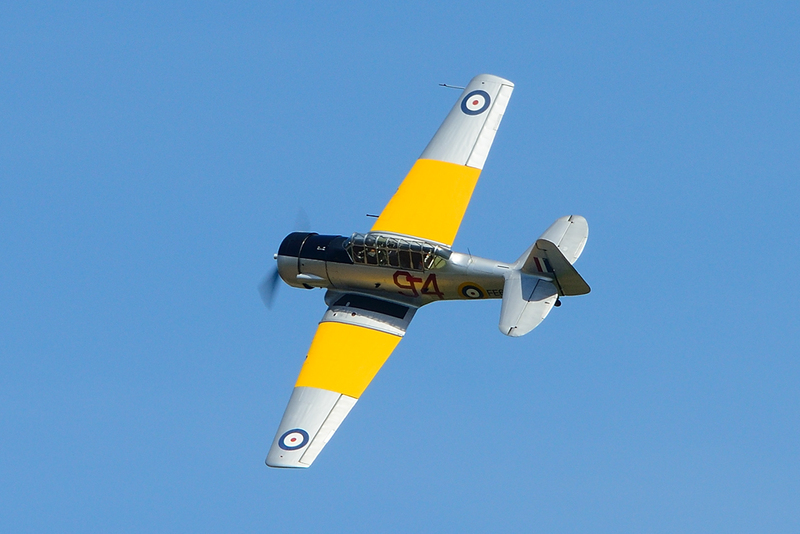 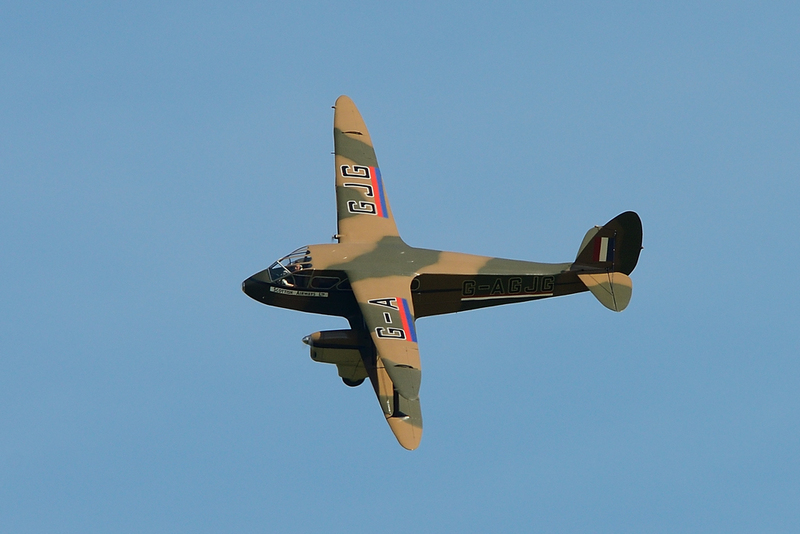 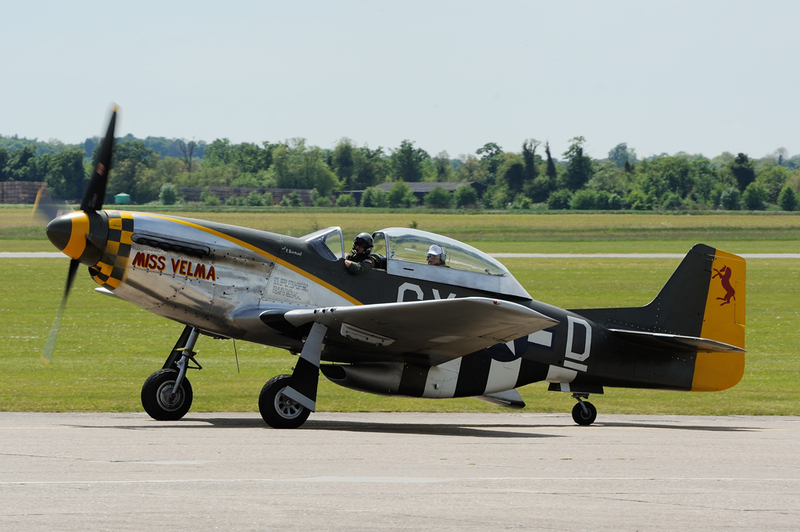 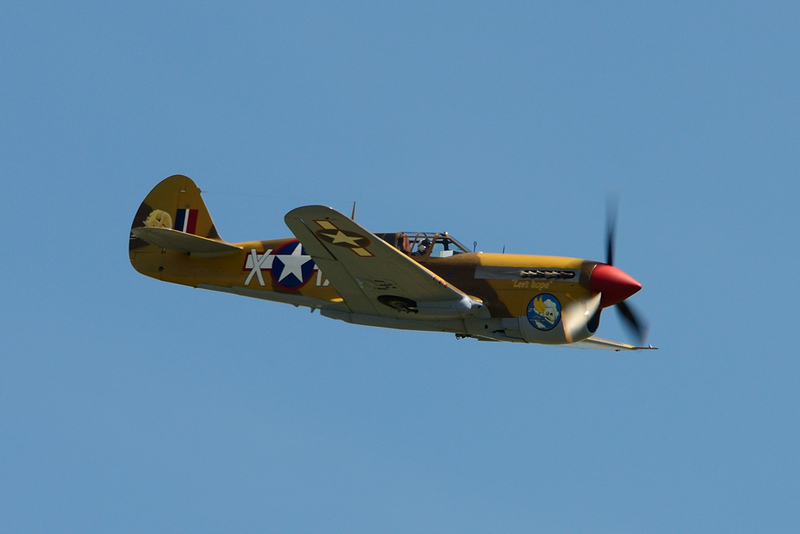 On 26 May 2013 Duxford held its annual Spring Airshow. 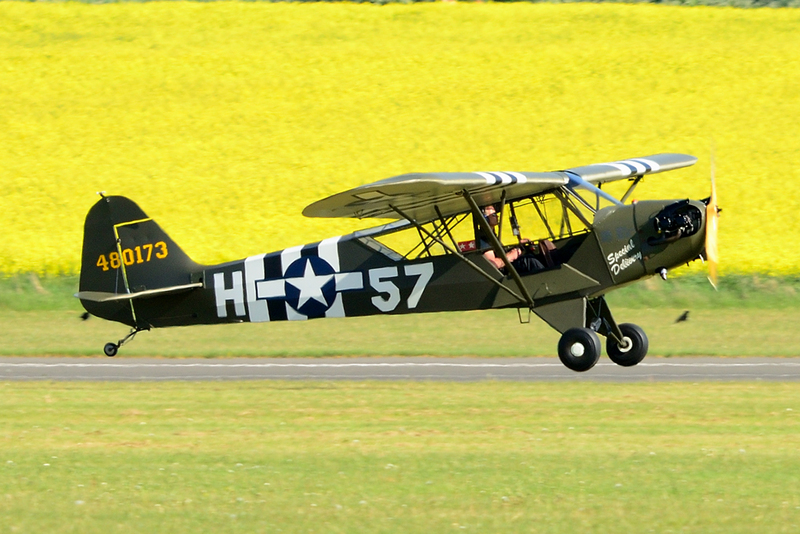 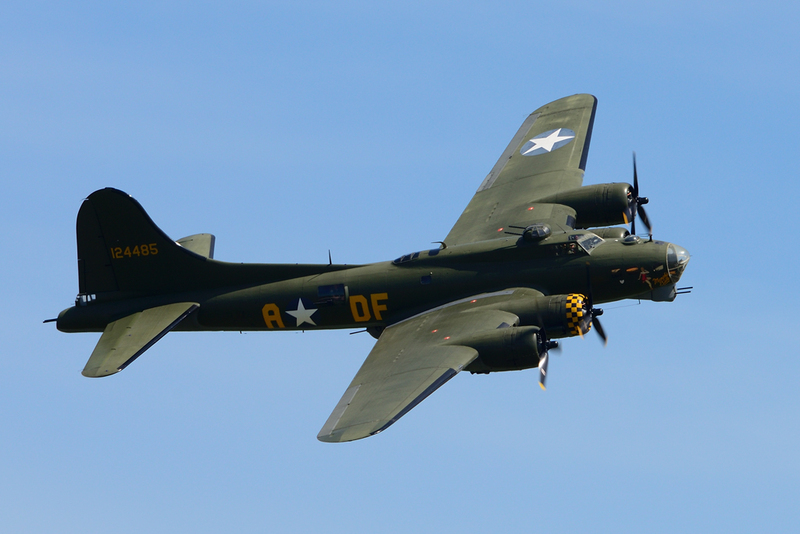 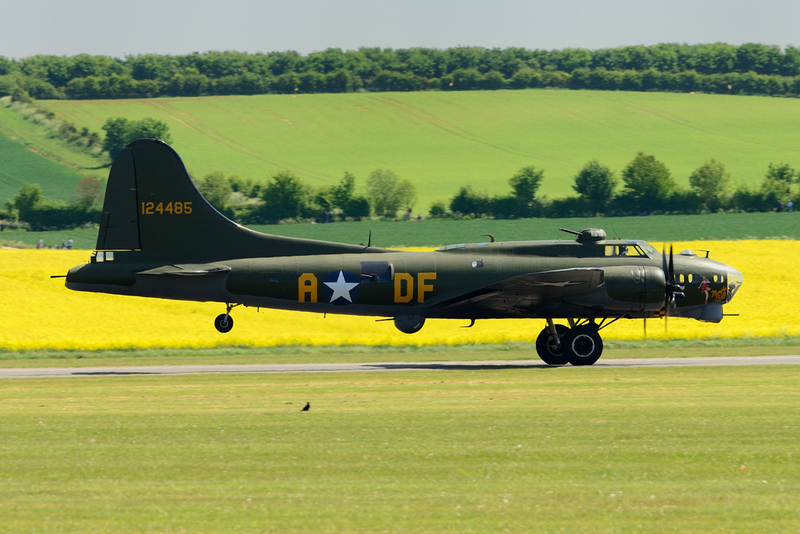 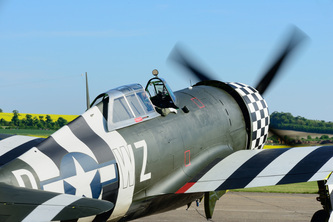 This years theme was remembering the USAAF Mighty 8th's arrival at Duxford seventy years ago in April 1943. This event was one of the best held at Duxford in many years and there were some very unique formations and flypasts assembled to mark the occasion. 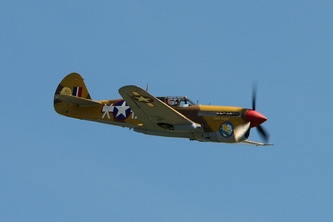 The airshow was blessed with good weather and was very well attended. 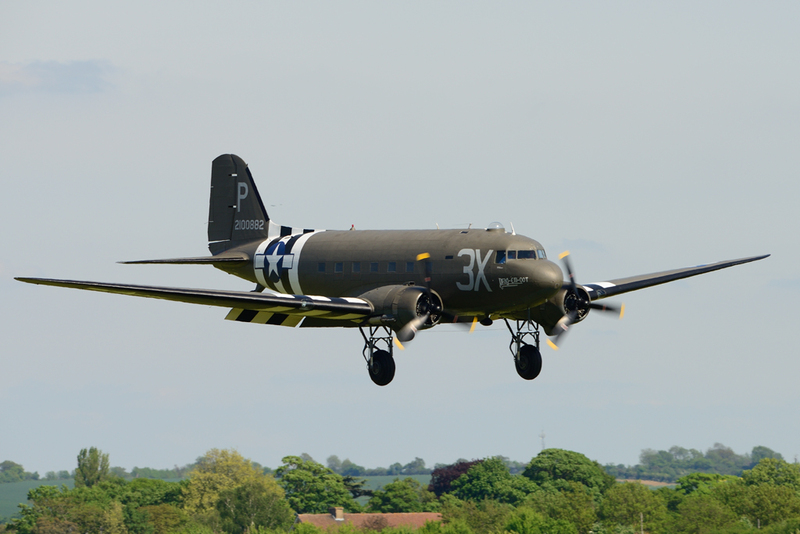 Below are some photographs from the event and information regarding participating aircraft. 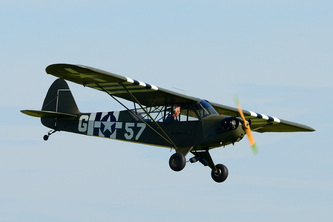 Colonel Clarence E "Bud" Anderson in the rear seat. 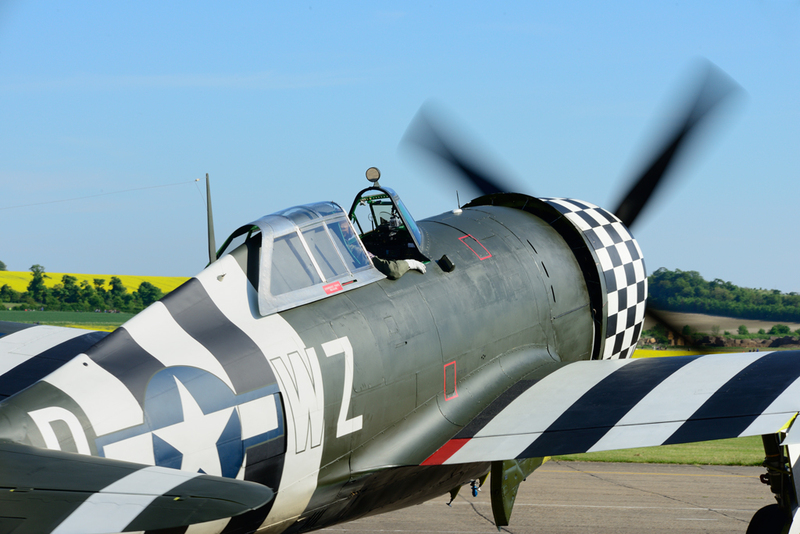 Bud, who is now aged 91, is a veteran of both World War Two and the Vietnam War, he is also a triple ace having achieved 16.25 kills. 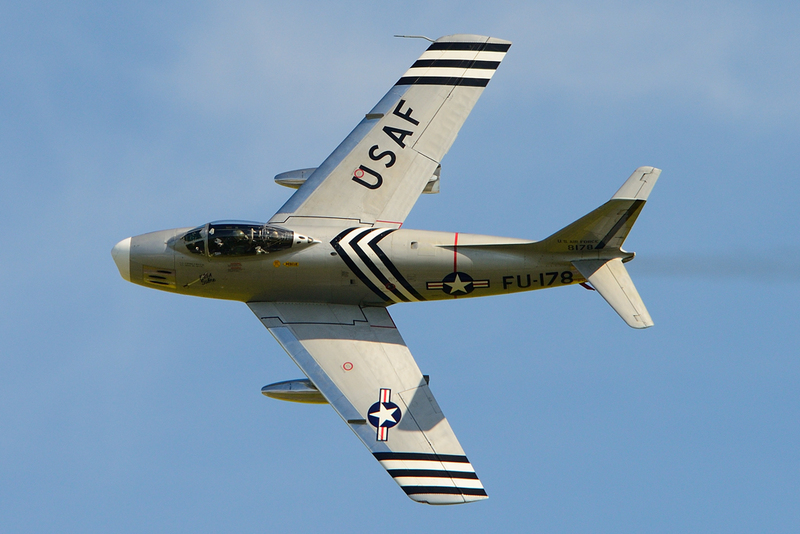 During his time he flew over 100 types of aircraft and ended his career as a test pilot. 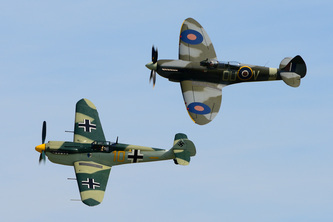 The airshow opened at 14.00 hrs with a first ever formation flypast of the Eagle Squadron which featured, Republic P-47G Thunderbolt 225068 "Snafu", Supermarine Spitfire MK.1A P7308 (AR213), Hawker Hurricane MK.1 P3886 (AE977) & North American P-51C-10NT Mustang 43-25147 Princess Elizabeth (especially imported from the USA for the occasion). 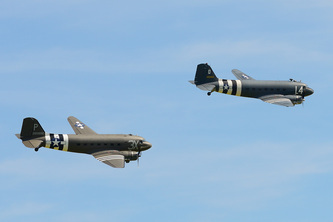 The four aircraft represent the types flown by American pilots in the European Theatre of World War Two. The Spitfire and Hurricane were specially repainted and remarked to represent aircraft flown by American pilots as part of Eagle Squadron on behalf of the RAF, prior to the USA's entry into the war. 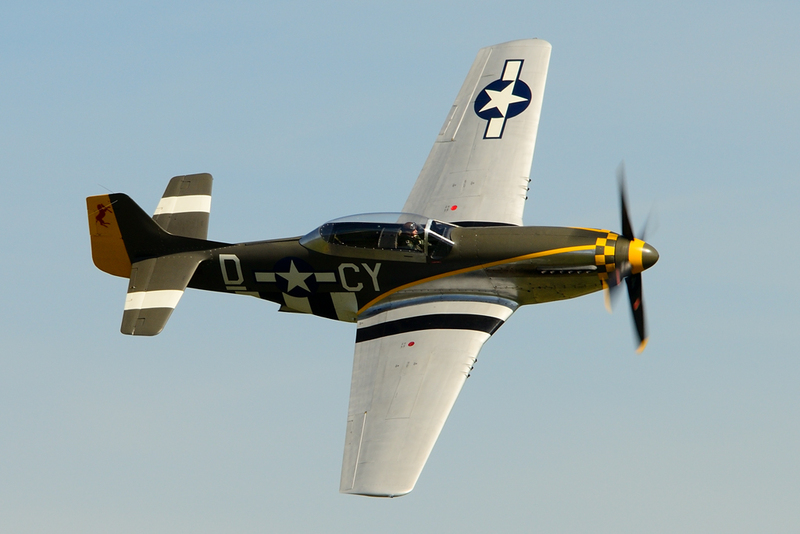 The Thunderbolt and Mustang represent aircraft that escorted the 8th's bombing missions into Europe, although it was not until the introduction of the P-51D that the B-17's & B-24's could be protected all the way whilst undertaking the deep penetration raids into Germany. Shortly after this the four fighters were joined by Boeing B-17G 124485 "Sally B" for another unique formation flypast. 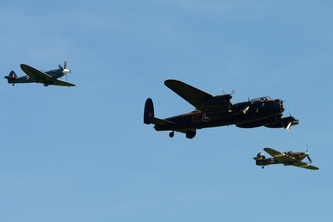 Following these two superb formations the day continued with displays from aircraft shown in the following photographs. At the end of the display another unique flypast took place. This time the Red Arrows, who were performing their first UK airshow of 2013 having just on the day returned from Cyprus, formed up with Republic P-47G Thunderbolt 225068 "Snafu", Supermarine Spitfire MK.1A P7308 (AR213), Hawker Hurricane MK.1 P3886 (AE977) & North American P-51C-10NT Mustang 43-25147 Princess Elizabeth.The formation undertook one pass and then split up leaving the Reds to undertake their display which closed the show. So this concluded a superb airshow at Duxford. 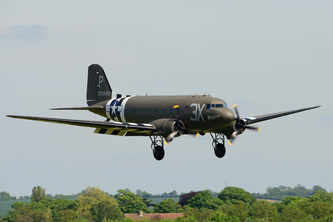 My thanks go to all those who put in a great deal of effort to make this such a memorable day.